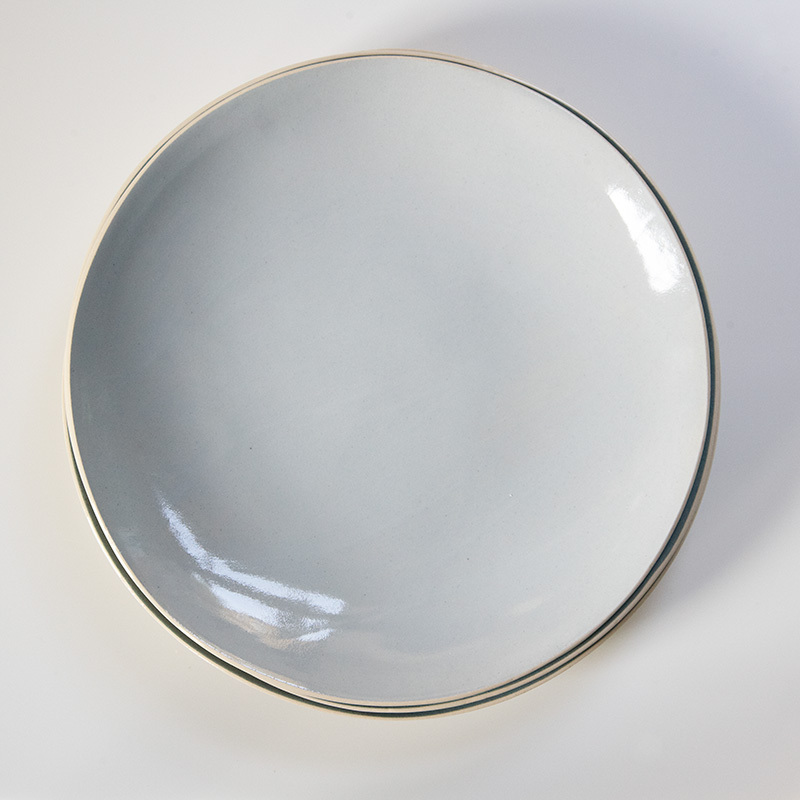 There is something eternally pleasing about the undulating shape of a Brickett Davda plate. With a couple of biscuits on, they are the perfect partner to our Brickett Davda mugs. 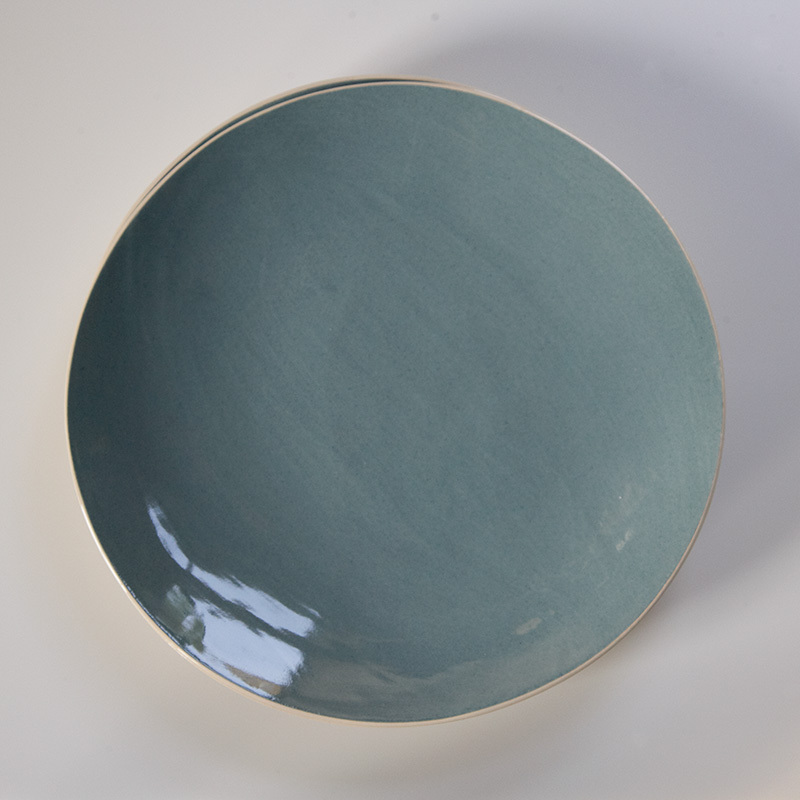 Our Brickett Davda plates are made by pressing the clay into the mould by hand, rather than by being thrown on a wheel. 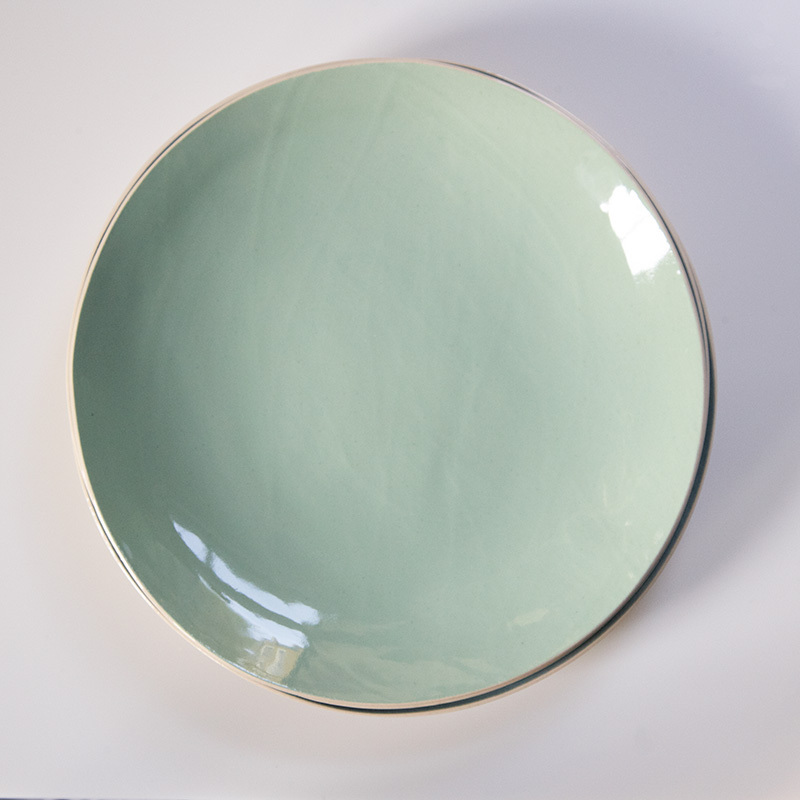 Each plate is unique and pleasingly irregular – flaws and marks are part of their appeal. 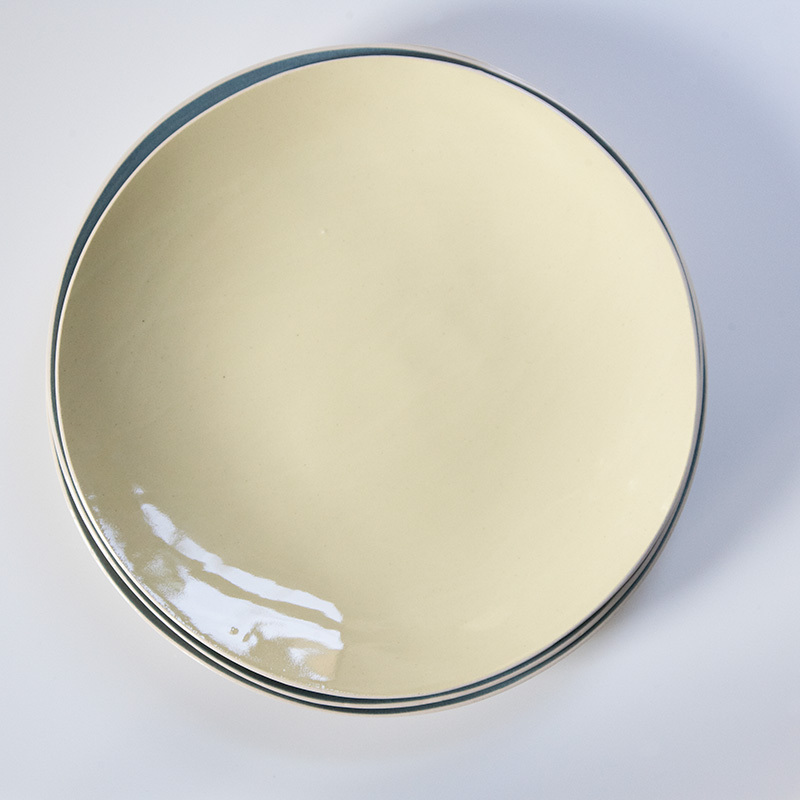 The plates have an earthenware base with a subtle glaze. Please see our Returns policy for information on returns.